I have a good friend who is a keen swimmer and also suffers from rheumatoid arthritis. Rheumatoid Arthritis (RA) is an autoimmune disease. This means that the body reacts to some of its own cells as is they were foreign and so attacks them as it would a virus or bacteria. RA can affect many tissues and organs but it mainly attacks flexible (synovial) joints. It can be very painful and disabling and it can lead to loss of mobility and loss of function. It is not the same as osteoarthritis which tends to affect people as they get older, however both osteo and rheumatoid arthritis cause inflammation of the joints. This can result in pain, stiffness, swelling, a decreased range of motion and fatigue. Swimming is an excellent exercise for arthritis sufferers because it provides an aerobic workout without putting strain on the joints. There are treatments for RA but at the moment there is no cure. Scientists do not know exactly what causes it. There may be a slight genetic predisposition to getting the disease and there are a few factors that can slightly increase the risk but on the whole the onset seems fairly random. My friend is a very active and lively person, she was fit and healthy, always out walking or riding her bike and the last person you might expect to be hit by such a disease. We have become good friends partly through our mutual love of swimming, she swims every day, and I decided to ask her about what swimming means to her and how it has helped her deal with the RA. ‘I’ve always been a keen swimmer. When I was a child I had a book called ‘My Little House’. It was about a lovely house in the country and there were some children living in the house who used to swim in the river nearby, or skate on the pond in the winter. Then gradually the house became hidden under a mass of buildings and roadways and flyovers until eventually it was completely hemmed in. So they decided to move the house on the back of a truck, it was an American book, and they took it to a perfect place in the country, but I remember thinking ‘but there’s no river, no stream, no pond’. I thought ‘where is the water?’. And I’ve always had that sense that to be happy you need to be near the water. 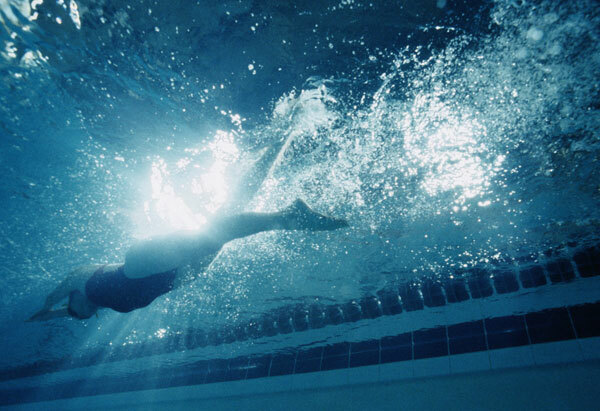 When I was diagnosed with rheumatoid, swimming was my salvation. I said to the doctor, for whom I have a great deal of respect, ‘Will I still be able to swim properly? Will I still be able to swim a mile?’ and he said ‘We just don’t know’. But I can, I swim about a mile most days. It takes me forty minutes. Swimming is my mental and physical escape. It is not just about the exercise, although that is important, it is cleansing and relaxing too in the deepest sense. I always go to the same pool, the local one, that I fought very hard to save from closure, before I was ill, before I knew I would need it so desperately. The council was allowing the pool to fall in to disrepair, they wanted to sell off the land, and we had to fight long and hard to keep it open. I spent eight years campaigning against its closure and for re-investment and refurbishment and we won in the end. I am still on the safeguarding committee. We had the indoor, outdoor and learning pool re-tiled and I had to fight hard to keep the depth of the pool, it is three metres deep in some places and it would obviously been cheaper to make it a bit shallower, but I really wanted to keep the depth. In the end I think we won the fight against closure because I managed to convince a local councillor who subsequently became the local MP and who was also a doctor, that we had to have a children’s teaching pool in the borough, that our children had to have somewhere they could learn to swim. I go to the pool almost every day. It is crucial to me and so I fit my work around it. It is a beautiful light, long airy pool with big windows to the ground, on three sides and an outdoor pool that is open in the summer. It is a public pool and I prefer that to exclusive private clubs. I meet like-minded people there, other swimmers, but they are from all walks of life, all ages, varying degrees of fitness. As I have said the pool has a proper deep end, also it is nice and long, thirty-three metres. I am afraid I am a bit lengthist when it comes to swimming pools. My condition means that I can’t do much walking and no cycling, which I used to love, so the swimming is a very important exercise for me. It keeps the muscle tone, and exercises the joints, it also helps me to stretch. I have to be careful not to overdo it. My favourite stroke is front crawl but I have to limit the amount I do. I can swim on my back if I don’t push myself too hard but unfortunately breaststroke is out for me these days apart from in the sea. 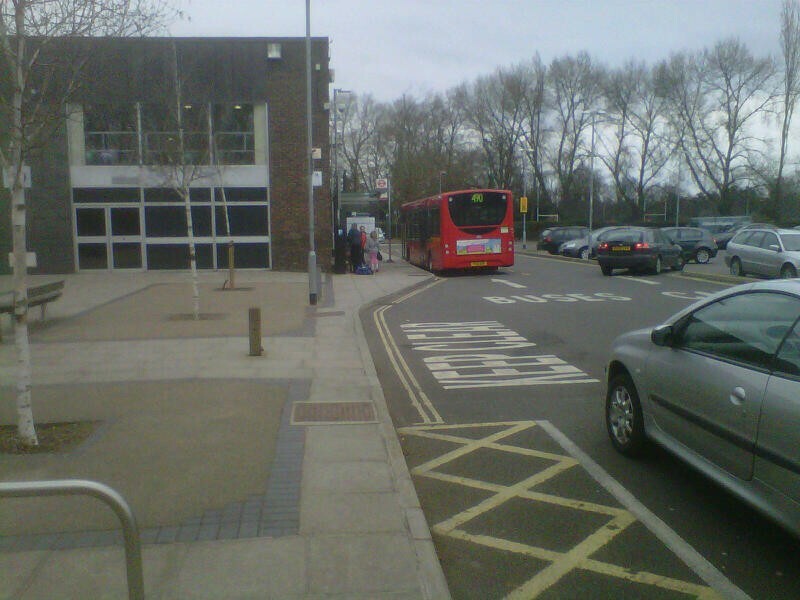 There was no bus running to the pool and although I do have a car I felt that it was important that people should be able to get to the pool by bus, especially children, and I am pleased to say that after eight years of my campaigning we now also have a bus that goes directly to the pool. I have watched children with all sorts of disabilities being taken swimming and you can see how they relax in the water. The carers and teachers have told me that the children are calmer and happier after they have been in the water. This entry was posted in mindfulness, swimming science and tagged rheumatoid arthritis, swimming as therapy. Bookmark the permalink. This project is being completed through collaboration of eleven study sites including Drexel University, ,, ,National Childrens Study Autism Identification Formative Research ProjectPrincipal Investigators: Craig Newschaffer / Laura Caulfield (Johns Hopkins)Funder:This project is examining the validity of brief assessments designed to confirm an autism spectrum disorder diagnosis in young children participating in large epidemiologic research studies.”A self-taught designer,“When I was little, Can you Hear Me Now? Sep 1999.If you are able to join us, Inc. Together, this years event will feature TWO DAYS of research.